I was so happy I even tweeted about it! Then, I stopped at my local kitchen supply store to grab some cheesecloth and actually ended up settling on a nut milk bag instead– a fine mesh bag used to make your own nut milks. You know, like almond milk or cashew milk… Apparently, you can also use them to make cold brew coffee. What a neat versatile little item! Plus, it’s fun to say nut milk bag. I was ready to Become A Cheese Maker. Literally the exact same. So how come she was getting curds and I was getting lemony milk? Something was afoot. I had one more quart of goat’s milk left so I tried this recipe that curdles the milk using vinegar. Nada. I was feeling very discouraged, and sadly put away my nut milk bag to try anew after the rennet field trip. 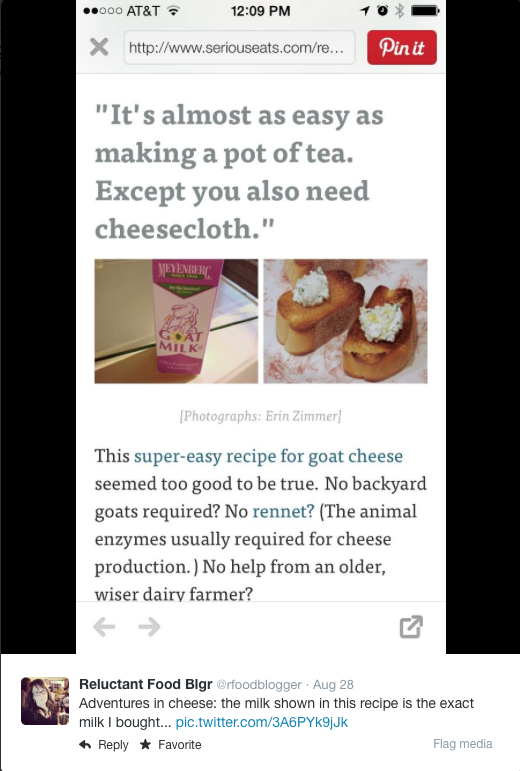 In the meantime I continued to pin cheese recipes (and also some nut milk recipes- what the hell, I have a nut milk bag now) when I ran across this little gem– it’s a recipe for cheese made from Greek yogurt. It’s Middle Eastern in origin- they call it Labneh and it’s served with freshly-squeezed lemon juice and olive oil and a bit of black pepper. It takes about 4 days to make and is currently in my fridge successfully dripping whey. Because i am a glutton for punishment, I needed to try that lemon juice recipe again with milk that was not ultra-pasteurized. The bad news is raw milk is not legal to sell in retail stores in my state. 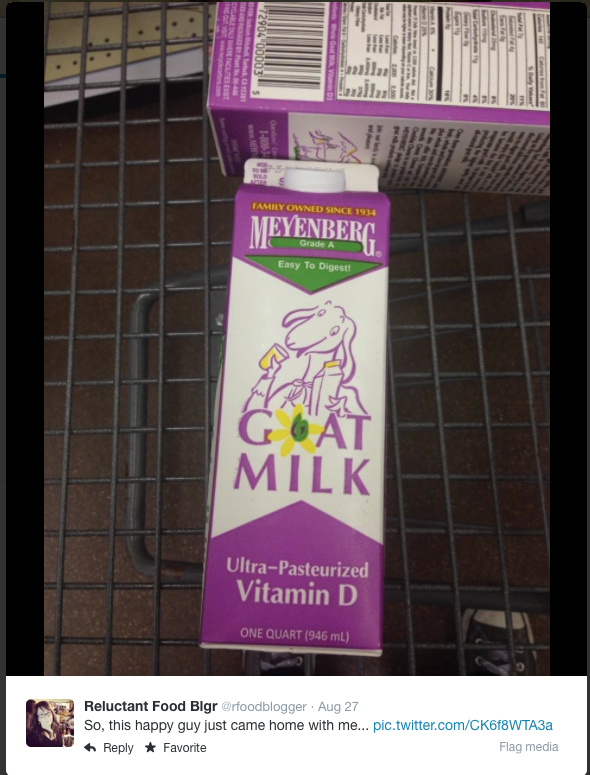 It’s some kind of stupid government milk conspiracy I’m sure. So if I want raw milk I would need to purchase it directly from a dairy farm. Perhaps when I get further into becoming a cheese maker that’s something I will try. I had to really look hard to find normal pasteurized milk in my local grocery- turns out the milk I normally buy for drinking is also ultra pasteurized. So I tried the infamous lemon juice cheese recipe with regular pasteurized milk, let it get to 200ºF (almost starting to boil) and got a small ball of small curds that are dripping whey in my fridge. Winning! 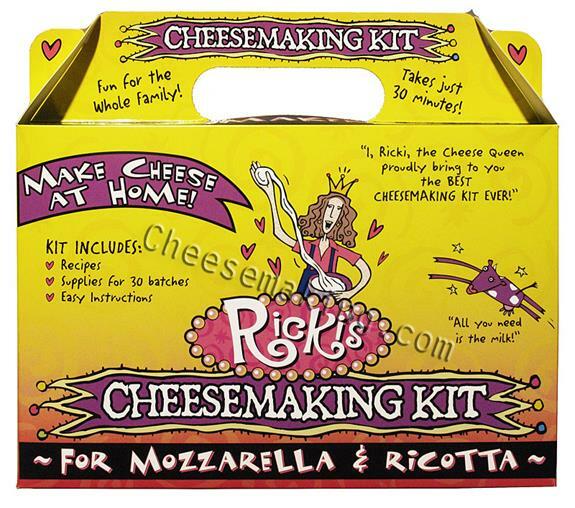 The booklet included with the kit says you can also use powdered milk and a little cream to make your mozzarella. And the microwave? So once the labneh and lemon cheese are completed (hopefully successfully) this will be next on my cheese-making agenda. Don’t be discouraged, keep at it. My first attempt at making cheese left me with a hockey puck, I’m still making cheese. I can’t wait to see your next attempt.